Did you know that there are over 350 types of pasta shapes? And as we unconditionally love pasta, we are firmly convinced that there is good reason for pasta to exist in so many forms! First and foremost: Choosing the right pasta shape to compliment your sauce or accompaniments makes a big difference to your finished dish. Some pasta types are best eaten with a certain set of ingredients, while others work well with a wide variety of sauces. Generally, larger shapes work better with thick, rich sauces, while skinny, more delicate shapes suit lighter sauces. Fancy some new ideas for pasta combinations? Follow our suggestions for which pasta shape to combine with which toppings and find out the ideal combination for your favorite pasta. Tubular pasta such as penne, rigatoni, or macaroni are the workhorse pastas. They pair wonderfully with hearty sauces, as their angled openings create a larger surface area for the sauce to fall into. Plus, the ribbing of the noodle also promotes binding with the sauce. If you like creamy sauces, you should definitely give this pasta favorite a try, with heavy cream, chicken, and broccoli! Shell-shaped pasta like conchiglioni or lumache, with their ribbed surfaces and a deep openings, cradle sauces better than any other pasta. Large ones can also be stuffed. Conchiglioni go great with heavy cream or any other creamy ingredient that comes to your mind, like ricotta or mascarpone. Long ribbons, like fettuccine or pappardelle, are preferably served with rich, meaty sauces. They also match great with a combination of seared beef strips and green asparagus, which mimic their shape. While nothing beats fresh and seasonal asparagus, you can swap in preserved ones if they’re out of season. Tagliatelle is another delicious example for long, flat pasta. Thanks to their large surface, this pasta can absorb a lot of sauce and therefore pairs well with creamy sauces but is thick enough not to become gluey. The general rule is that delicate noodles are for delicate sauces! 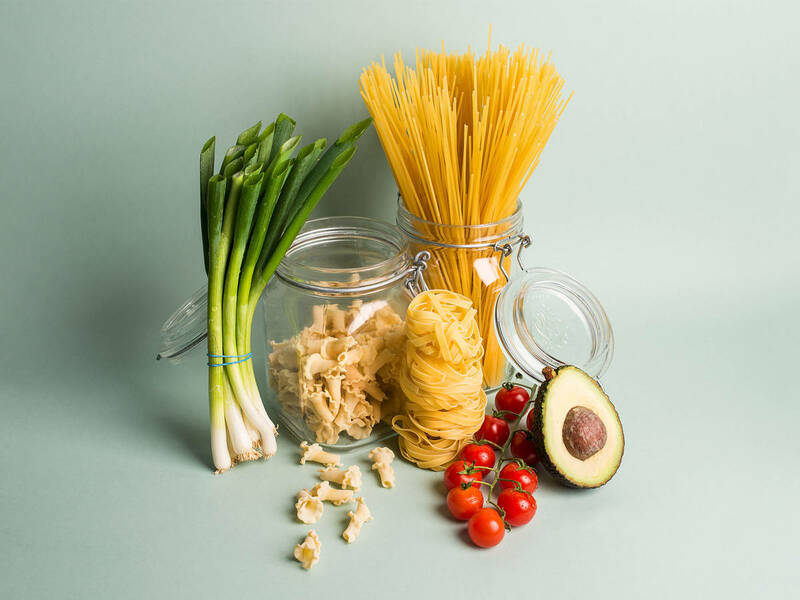 According to that logic, long and skinny pasta such as spaghetti, linguine, or vermicelli match perfectly with light or oil-based sauces. Campanelle, whose shape is reminiscent of bellflowers, have just the perfect size for pocketing little nubs of cheese, vegetables, or even nuts. Pesto and creamy sauces are also a great match, since the sauce gets into the folds and crevices. As we already revealed our weakness for pasta and creamy goat cheese, we highly recommend the combination of campanelle, goat cream cheese, chopped walnuts, and crisp spring onions. What’s your favorite pasta pairing? Tell us in the comments and upload a picture of your creations for all to enjoy! Or, send us your recipe at community@kitchenstories.com.